Recently, the duo behind Fins Seafood announced via Instagram new labelling across their seafood products. The small plastic label resides on fish and details the vessel and the fishing area. Part-owner Phil Clark, said that provenance labelling was an opportunity to connect customers to the origin of the seafood they purchase, including the fisher. SMALL LABEL INCLUDES VESSEL AND PROVENANCE DETAILS. Initially for the owners, it was about the promotion of the ‘Fins brand’ and getting loyalty to product that is sold by them. “In all honestly we thought the vessel information was a sidenote to origin – but that information has been picked up the most by our customers,” he said. 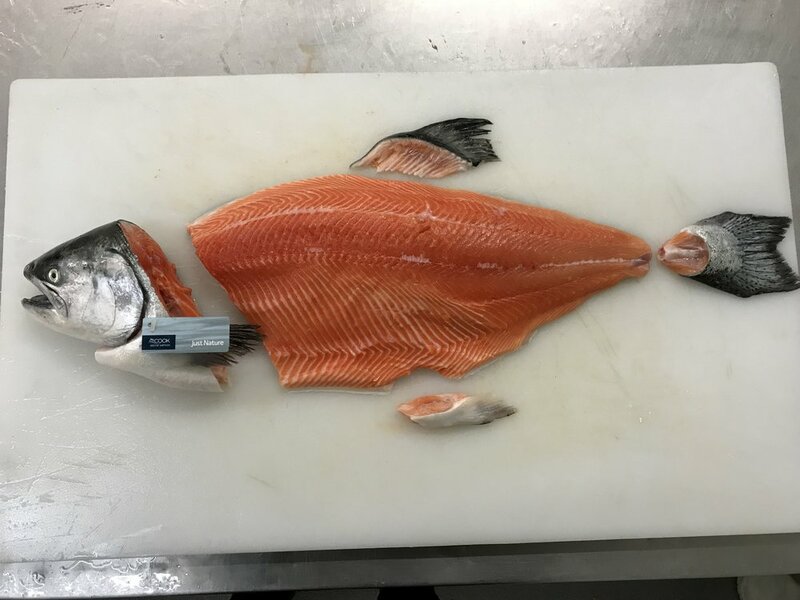 The tags have become extremely successful, a way for the company to ensure compliance, due-diligence and to even tell the story behind their seafood. Within a week of implementing tags, Phil said they had caught someone out with incorrect seafood labelling. Phil said instantaneously he wrote back and apologised – saying that the Dhufish was actually from Lancelin. “With the implementation of tags – we have protection of Abrolhos branding. As all the chefs will know – if it doesn’t have a tag, it’s not from the Abrolhos,” he said. Concluding, Phil said that advancing the business, doesn’t just happen without great partners. ON THE F.V. BOWITHICK WHERE BEAUTIFUL, HIGH-QUALITY SEAFOOD IS CAUGHT. Coming out of New Zealand a Fish Tales product, Fins is excited to announce WA exclusivity of this incredible product. Deep in the Southern Alps of New Zealand lies Aoraki/Mount Cook National Park. From its craggy alpine ridges flows the purest fresh water on the planet. Ice cold. Constantly flowing. Perfectly chilled for a much prized southern delicacy. Over two million gallons of pure glacial water flows through the farm every minute! Young up and coming fisherman out of Kalbarri. Hayden earned his stripes on the crayboats around the Abrolhos Islands. Hayden has been chasing the Spanish Mackerels succesfully for a couple of months but is now back in the wet line game. Father son team that fish out of Geraldton. Ice bath, fish are road-freighted to us when the boat lands. The SCARLET PRAWN (Aristaeopsis Edwardsiana) is one of the most coveted prawns worldwide. Thanks to WAFIC (West Australian Fishing Industry Council) for the publicity. WAFIC met with Fins a few weeks back to discuss the business, learning how John and Phil conceptualised Fins Seafood, their beliefs, the future of seafood in WA, and what the boys consider important. The importance Fins places on taking care of the product from ocean to plate is fundamental to the success of Fins, and what separates Fins from its competitors. The boys are met at the Fishing Boat Harbour with Octopus fisherman Peter Jasinki.